Small inverters (220 1ph) and celullosic (6010) rods. Why don't they work together well?? I own a Solter CoTT S 175. It is a 1ph 220v inverter which puts out up to 160amps and has an open circuit voltage of 95 volts. After using it with rutile and basic rods (say 6013 and 7018) I wanted to try celullosic rods (6010 or 6011). I had a true hard time finding them here in Spain since no known LWS had them or was even willing to get some for me. 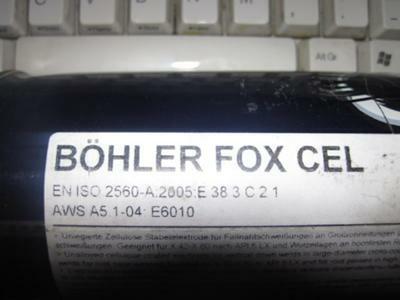 I managed to get a hold on "some" Bohler Fox CELL 6010 2,5mm electrodes. When I say some, read 12kg in three separate airtight cans of 4kg each). The first time I tried to use them I wasn't able to maintain an arc. Any kind of arc. Long arc, short arc... it just didn't work. The rod kept on sticking to the workpiece. I went back to the rods characteristics and it was supposed to be used for open root downhill passes on pipe. My first thought (since I was trying to weld T joints and plain flat stringers on plate) that maybe there were rods soooooo specific so as not to work in anything but open root joints. 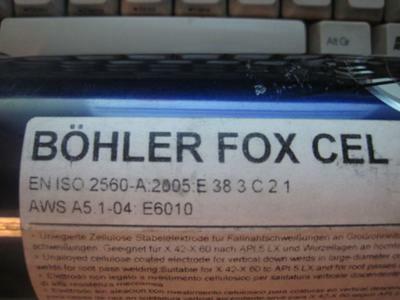 I asked about that in an internet forum (weldingweb.com, btw) and I was told that there wasn't such a picky rod. I was also told that the rod was a well known good rood and that I was having problems due to my machine not having enough welding voltage. I was told that these rods are supposed to be used with big heavy transformer+rectifier welders. 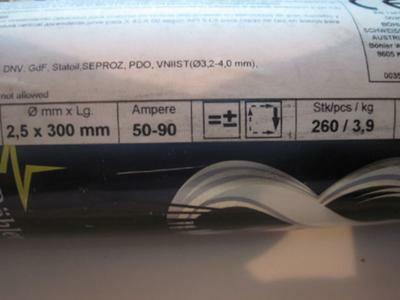 - The second one is that you need something called adjustable arc-force. The first one doesn't fit because my welder has an open circuit voltage of 95volts (according to specs). The second one... well... as far as I have read here about the arc force it is helpful for getting the arc to dig more or less according to how clean/dirty/rusty the metals to be welded are. I read something along the lines of not having enough welding voltage... and that is not related to open circuit voltage. What is the truth about small inverters and celullosic rods? Will it be worth to sell my actual welder and get the suggested one adding the remaining cash? Will that solve my problems with celullosic rods? Right now I am stuck with 12kg of rods that I am unable to use... And that upsets me big time! PD: Find attached a few pictures of the rods I am trying to burn. The sad truth is that some inverters are not designed to run 6010 rods. I am not sure of the science behind it. I just know that when miller and lincoln, and others specifically advertise certain inverters as being designed to weld with cellulose rods , that means that others are not. sorry you are stuck with those rods, but i am not sure its worth changing welders if you inverter performs well otherwise. you might try using a 6011 if you can get one or 2 rods . 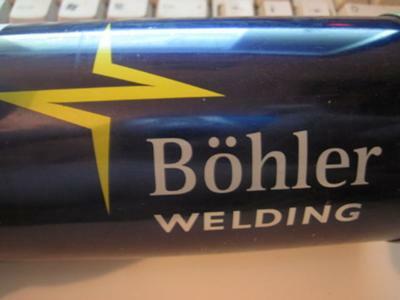 they are designed to weld on ac or dc so they might run better with you inverter.